We are a licensed home design/remodeling company serving the greater Washington, DC area, including the District of Columbia, suburban Maryland, Virginia, and Baltimore. 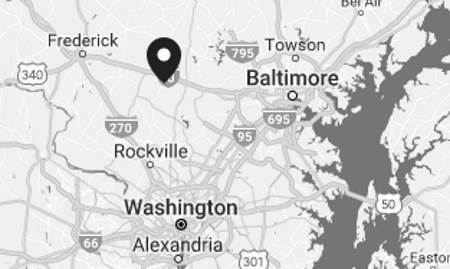 We serve clients in Montgomery, Fairfax, Howard, and Anne Arundel Counties and beyond. Our clients include homeowners, developers, and individual investors. We appreciate that our clients are entrusting us with their homes. We honor their trust by doing all we can to exceed expectations. Our company adheres to four core principles: Quality Control, Integrity in Communication, Experience, and Safety. From the first meeting to the final day on the job, we work closely with clients to ensure that the vision they have for their space is exactly what we deliver. We communicate openly so that clients have accurate cost data and a realistic timeline. We find that when information is conveyed accurately and early in the process, projects run more smoothly. And although we manage all aspects of pre-construction and construction, we function so that our clients retain total control of the project and participate in all critical decisions. Your project means more than just business to us. It becomes a relationship based on our mutual commitment to quality and a job well done. We attribute our success to our in-house team of experts – electricians, plumbers, HVAC specialists, carpenters, masons, roofers, and architects. Everyone on our team has honed his or her skills through years of experience on projects ranging from single-room residential work to remodels of major government facilities. We thoroughly understand the construction market, are familiar with local construction requirements, and we are fully licensed and insured. Our expertise in governmental approvals and the permitting process keeps our projects running smoothly from the start, which is why we assist in obtaining all applicable permits and schedule timely inspections with state and county authorities in every jurisdiction. Our years of experience allow us to provide all our clients with responsive service, competitive pricing, accurate scheduling, and ultimately a project of which they can be proud. At Euro Design Remodel, the quality of our remodeling work is just as important as the quality of our client relationships. Our quality-control measures include real-time quality tracking. That means the project is checked for quality at every stage in the process, from design and preconstruction through completion. By focusing on quality-control, we eliminate the need to undo or redo work, which keeps projects on schedule, reduces operating costs, and keeps our prices competitive. Our construction team is proactive in maintaining a safe and secure worksite at all times. Clients can rest assured that all tools and implements will be secured during and at the end of each workday and that all adjacent spaces will be protected from dust and debris. We know that a safe and secure workspace ensures a smoother project and a minimum of disruption in our clients’ lives. We are insured and bonded, and every member of our team has been properly screened, vetted, and trained in safety protocol. "The Angie’s List Super Service Award honors excellence among home service pros who maintain superior service ratings and reviews on Angie’s List. "